I love festivals, and a chance to celebrate together, however Easter is the festival that I have the least connection with. The whole thing feels so out-of-place and awkward in my family. Every year I search for some meaning in it and every year I struggle to create something beautiful that works for me. I find it very hard to honour a celebration when I do not understand it and cannot make it real for me. With Easter, there are so many layers involved, so many traditions overlapping and none of them directly relevant to the average Australian, unless you identify as a Christian. The Christian Easter is linked with the very essence and purpose of the story of Christ. I no longer consider myself Christian in terms of worship … although on a private note I do take the time to feel the soul story behind my interpretation of the death and resurrection of Jesus. This is a personal moment of reflection on the cycle of life: the necessary traumas and deaths we must experience in order to be reborn with new knowledge, new skills, new ideas, new strength. It just doesn’t feel right to share this deep meditation with my little children, and neither am I ready to explain to my children the story of the death and rebirth of Jesus – I believe this story is too much for their little hearts at this time in their lives. The other side of Easter is the Pagan story of Eostre – the goddess of rebirth, spring, new life and new beginnings. In the northern hemisphere this is her time to shine! I totally get the celebratory mood that comes with this festival! I feel it every Springtime. 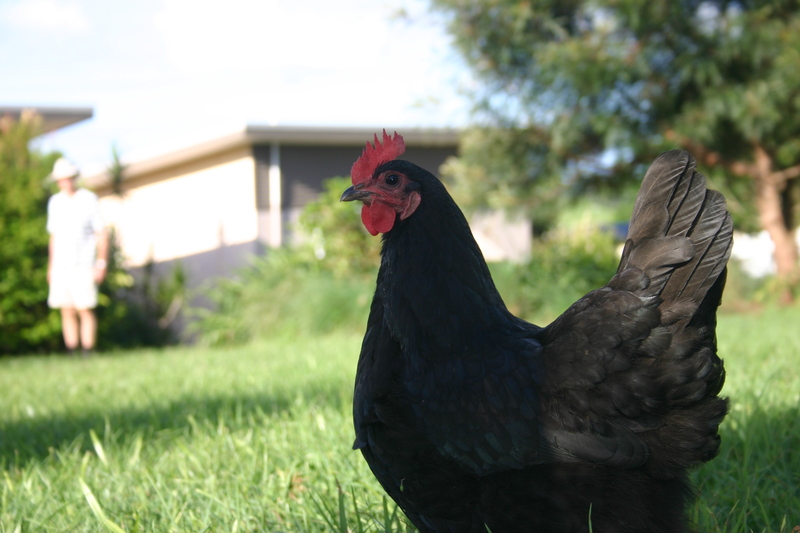 Easter in Australia, however, falls in Autumn time. The eggs and the bunnies and the chicks just don’t fit in with our soul mood of Autumn. And the chocolate – where does that come in? What has chocolate got to do with death and resurrection? Why should I spoil a perfect opportunity to enjoy a long weekend with my family by feeding my kids bad chocolate and encouraging a sugar rush (and the horrible behaviour and sore tummies that come with it)? Besides, being on the GAPS diet right now I am not interested in watching other people eat chocolate! 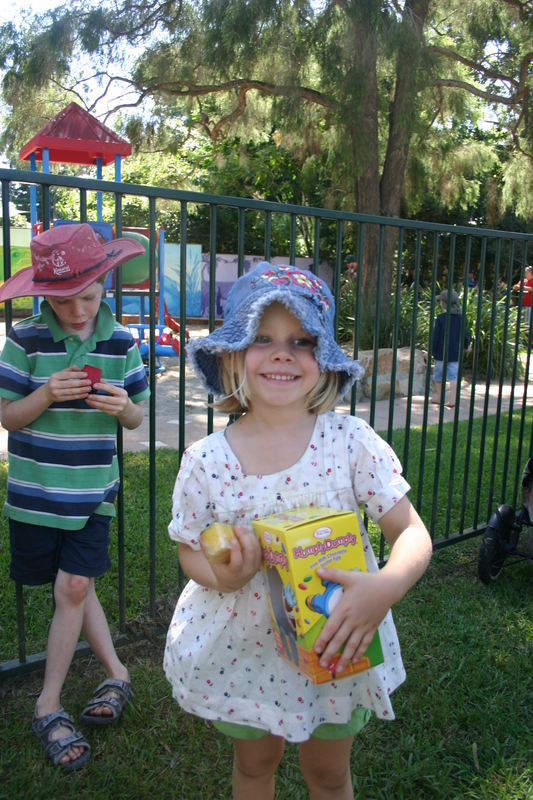 We visited the Kennilworth Cheese Festival this year and our kids were entered into the ‘cheeseter egg hunt’. Great! I thought they’d be finding cheese – and they did: great big hunks of cheddar hidden in the bushes. But there was one special cheese and the person who found that won the big Humpty Dumpty Easter egg with candy coated chocolates in it. My daughter found it, and won it even though she accidentally ended up in the wrong age group for the hunt. Whoops. There were a lot of unhappy 7 – 9 year olds that Easter Saturday! I didn’t think she’d win it, and I didn’t want her to eat it, and once it was opened (because it had to be after she won it so spectacularly!) we got the expected sugar rush and crazy behaviour for the next hour. I threw out the chemically coloured candies and put the awful chocolate out of reach and they just forgot about it in the end. Really – if chocolate is going to be eaten, why eat bad chocolate? There is so much good chocolate in the world and mass-produced Easter chocolate is the worst! Every year I have to ask myself, what are we celebrating here? What is Easter going to mean for me this year? I can’t seem to avoid it because it is one of those cultural expectations that we are bombarded with the moment we set foot in a supermarket, turn on the tv or open a magasine. 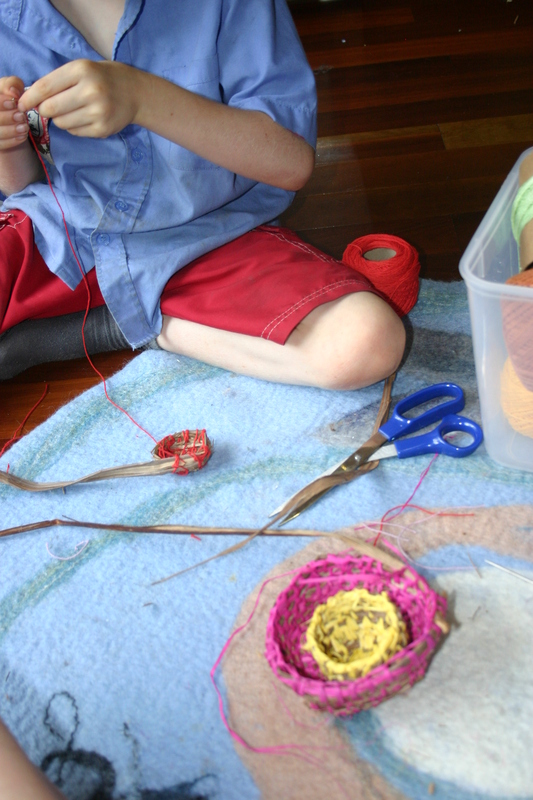 Even schools find it necessary to make crafts to celebrate a European idea of Easter, so of course our children are very aware of the Easter ‘traditions’ (i.e. chicks and bunnies and chocolate) and have the expectation to be a part of it. I usually choose to highlight the gifts of Autumn, however subtle they are here in Queensland. We made apple-cinnamon offerings for our Autumn table. 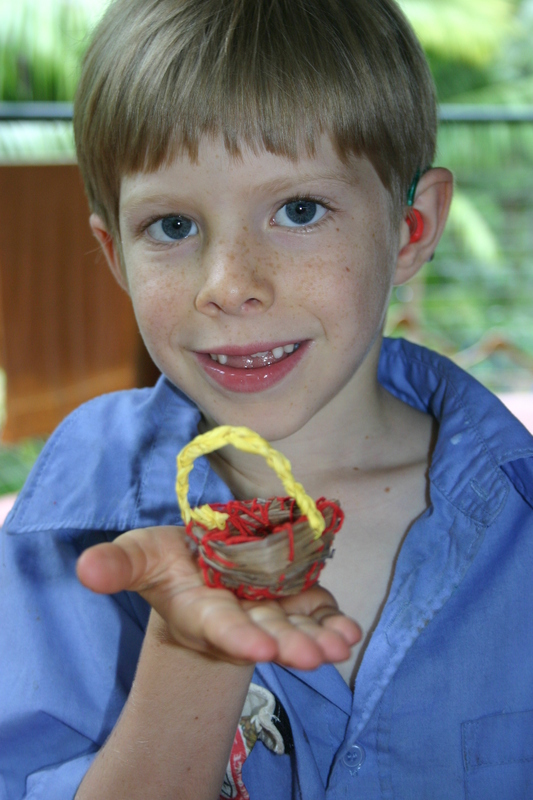 We stitched little baskets out of raffia and palm fronds. 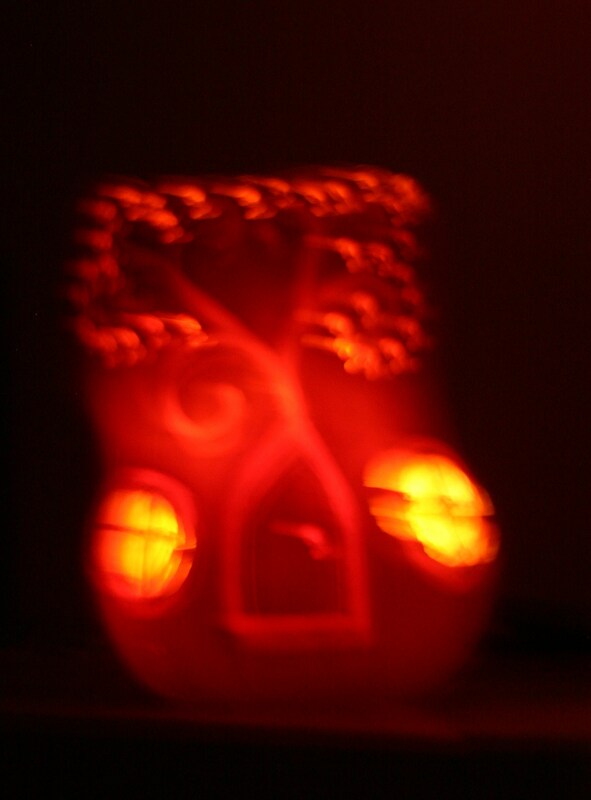 The children helped me to hollow out some pumpkins and I carved a fairy house with windows that glowed cosily with candlelight at night-time (Please excuse the fuzzy photos!). 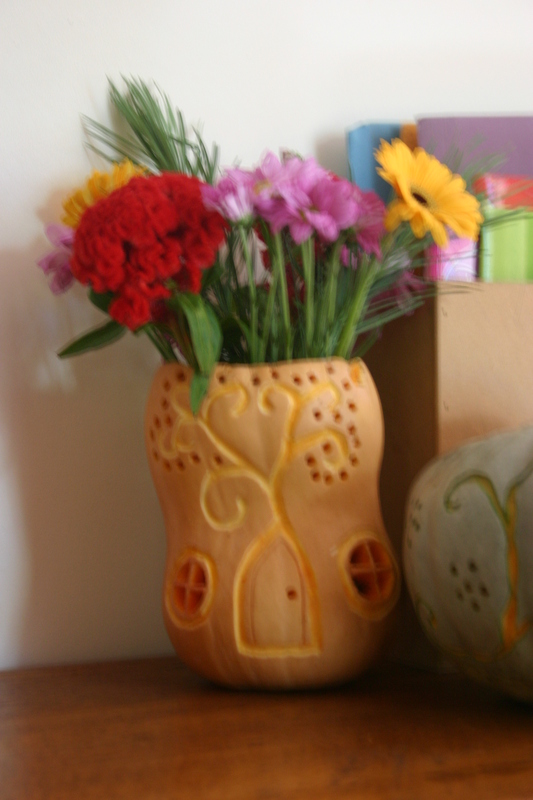 We made a raw pumpkin pie and a candle holder in autumnal colours. We picked golden cassia flowers and we gardened together. 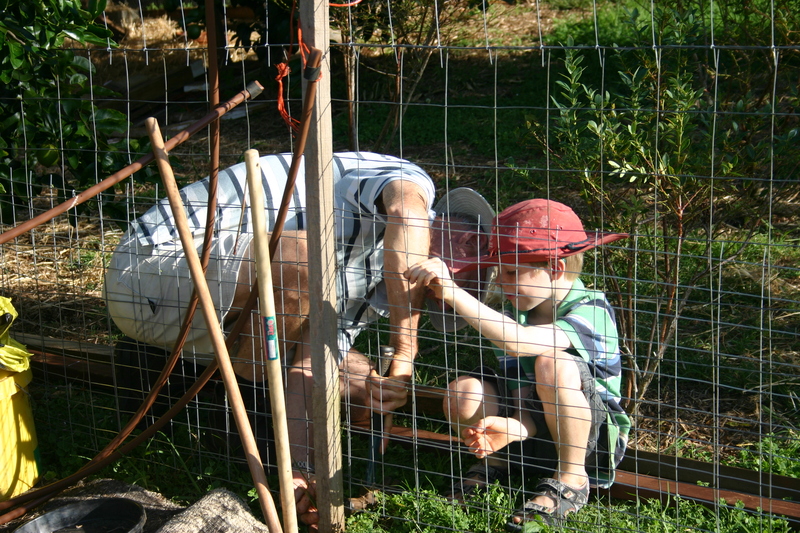 This autumn weather has been perfect for getting back into gardening and together the children and I have worked hard to pull those weeds out and re-discover our garden underneath them. At Grandma and Grandpa’s house there was more work to be done, and fruits to be harvested. It has been a great opportunity to talk about elements of death and rebirth from Mother Nature’s perspective, rather than from that of Jesus. 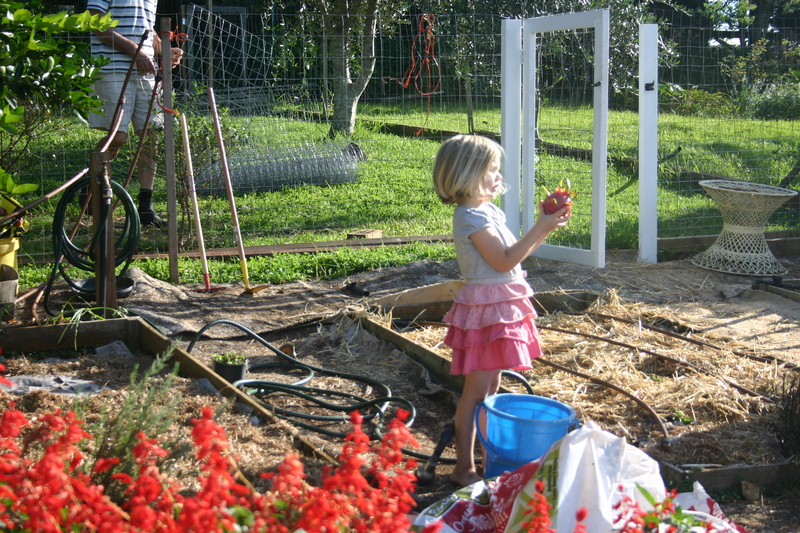 Composting is a great opportunity to talk about how things must die to nourish the living. Maybe I am thinking too deeply about it. This year I chose to make meaning in it just for myself, and didn’t talk much about Easter with the children. We came up to the Sunshine Coast to stay with family for the long weekend and to soak up the beautiful, relaxed mountain life. While Grandma was helping the children create their own baskets, the Easter Bunny visited the garden and was thoughtful enough to hide Sweet William (dairy and sugar-free) chocolate for the children to find. Not an overdose. Just enough. 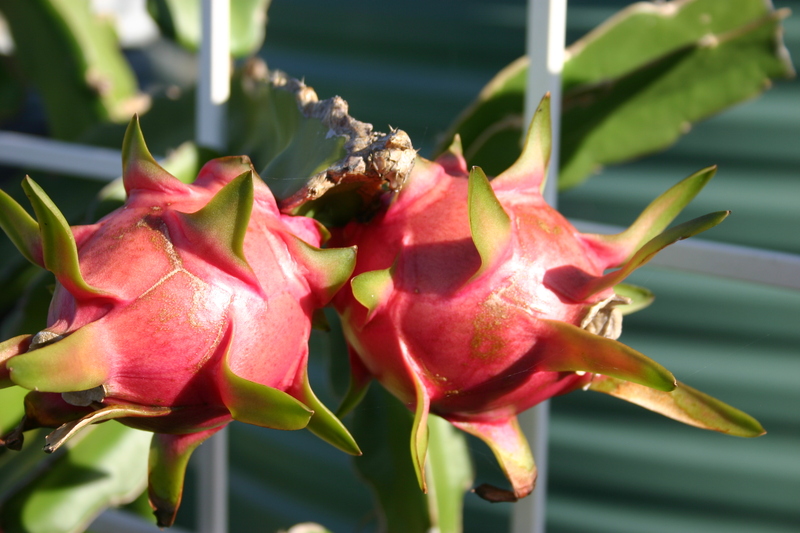 No sugar rushes this year – just satisfied children, delighted to rush about the garden and find little treasures. I can see where you come from. However having been raised with the Christian beliefs I don’t feel knowing the easter story of death and rebirth of Jesus harmed me in anyway. We were always made aware that easter eggs and chocolate were nit part of the Christian beliefs.as I recall even play school used to teach that the eggs were orca European background in the sense they were a hardboiled coloured egg. Even my primary school made eggs to this nature. As a child the magic of easter bunny and similar occasions helped make my childhood special and fun. I don’t regret my parents lying as such, enabling me some magic when life sometimes was so bleak. As an adult I take what I’ve learnt from my Christian upbringing and what I’ve come tobrlieve in to be true and I am glad I’ve had both experiences. I can’t say I believe in god and I can’t say I don’t, sane applies the rules of the universe or other religions or teachings. I must say as a plus I do love chocolate but it does make me sick, when I over indulge which is often. I was raised Christian too and I do not remember being upset by the story of Jesus’s death … but it did confuse me. There is a difference between being brought up in a culture that constantly talks about and celebrates the life and death of Jesus, and one where I find it difficult to explain the concept of God, or even why a man was killed (so horrifically!) and came back to life again …I’m saying that I think I will leave that story for later. 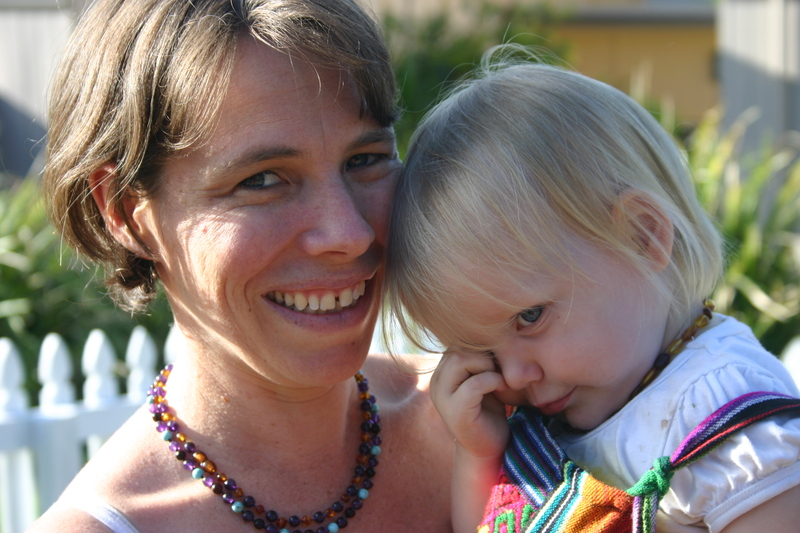 Any time it has come up the children have got confused and worried because it is not in their everyday world. It is not something that they can make meaning from culturally – which is why I have approached the idea from working in nature instead. And yes you are right – the Easter Bunny brings magic and delight, and the chocolate is something to look forward to … but each family has to make choices about what these festivals mean to them, and sugar is not something we value in our family, so I get frustrated by the expectation that I am supposed to give it to my children. Because I don’t want to – other people do it for me and that annoys me too! !